Turkey has been hitting the headlines for all the wrong reasons over the past few months. Some of us may have forgotten how beautiful this country is, so if you’re yearning for a taste of the Ottoman empire but are thinking twice before a visit, Awtar has just landed in Soho. There’s no mistaking the theme of this bar with its hookahs dotted around the space. In fact, this is one of the first places in Hong Kong to offer the ice pipe, which facilitates a smoother shisha experience. We don’t try the it, though. Because we’re here for the booze. 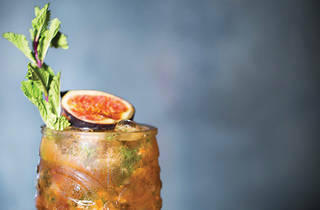 The drinks are crafted by mixologist David Bohan of Djibouti and Drop fame, all made with a Mediterranean twist in mind. 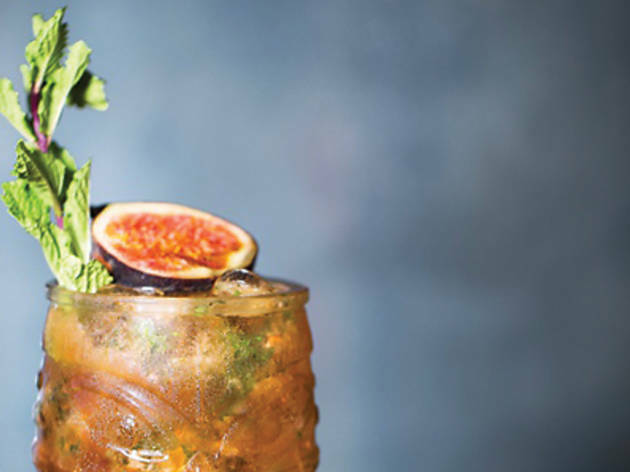 Among the 14 signature cocktails, Higos ($132) catches our eye. With fig-infused whisky and mint, along with a twist of citrus, we enjoy a set of strong fruity flavours that are cradled by the aromas of alcohol. Next up is the Basileus ($108), a refreshing mix of gin and thyme-infused sugar. We enjoy the green herbal fragrances which are also abundant in Mediterranean cuisine. To soak up the alcohol, we order the Awtar hummus ($88). The chickpea blend is tasty and scattered with nuts, however we’re not able to discern what makes this dip a signature of the bar. Awtar isn’t trying to be anything new. Rather, it’s just offering good food, cocktails, shisha and an exotic vibe. It’s worth hitting up to enjoy a piece of Turkey, its culture and its selection of hookahs. © 2019 Time Out Hong Kong Company Limited and affiliated companies owned by Time Out Group Plc. All rights reserved. Time Out is a registered trademark of Time Out Digital Limited.